A police constable formerly attached to the San Pedro Police Department has been freed of ‘Extortion’ charges well over a year after interdiction. 28-year-old PC #1139 Oscar Ramirez was charged for the crime of ‘Extortion’ on September 30, 2014, but charges were dropped in his latest court hearing on Wednesday, January 20th. Senior Magistrate Sharon Fraser dismissed the case after the complainant indicated that she did not want any further court action. 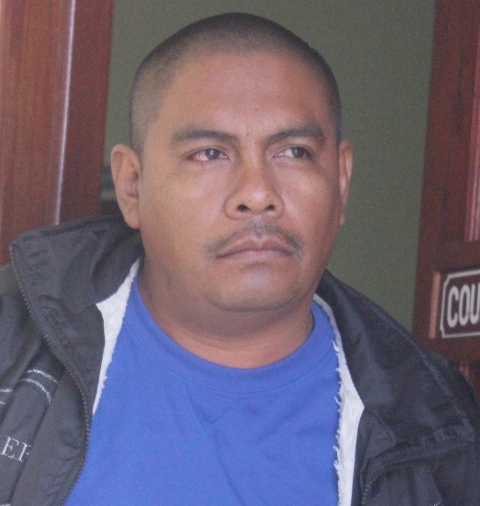 While Ramirez may have been freed from the court proceeding, he will still face disciplinary measures from the Belize Police Department. Ramirez had been charged after 18-year-old Sander Palma, a minor at the time, reported that Ramirez demanded $300BZ for the release of her mother, Mirna Judith Berganza following her detention for a traffic offense. This occurred on September 22, 2014. According to Palma, Ramirez demanded an additional $700BZ, with a total of $600BZ given to him for the release of Berganza. Ramirez was charged following an investigation and placed on interdiction since then. With the charge being dropped, Ramirez no longer stands to face a court sentencing. It is not yet known whether Ramirez will be reinstated as PC, as that decision will be made by the Belize Police Department after a scheduled disciplinary hearing.